The Pillai Center for MindScience offers you simple yet powerful solutions to any of your problems related to health, wealth, relationships, and jobs. If you are looking for higher spiritual evolution, we have powerful techniques for that, too. 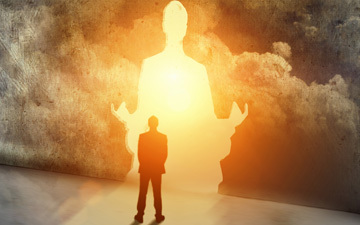 With an aim to help mankind through a complete transformation of the mind, body and spirit, the Pillai Center for MindScience has discovered various tools in Spiritual Technology that help you evolve and achieve your goals. Our Spiritual Technology brings subtle changes in thought processes, consciousness and different aspects of life, making manifestation and creation of desires easier and simpler than ever before! Our consciousness is created out of sound waves and our emotions are determined by the sounds we continuously repeat in the form of words or thoughts. 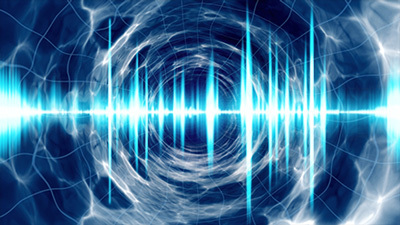 Sound waves thus play a very important role in determining the level and nature of our consciousness. It is the thoughts, emotions and consciousness we have created that determine our happiness or sorrow, so it is very important we are aware of what we say to ourselves on a regular basis. If you aspire to a better job, your positive thoughts and attitude will allow you to see better opportunities than a negative attitude will allow. The Sound waves used by the Pillai Center for MindScience are words/power sounds, which are found in divine ancient languages such as Sanskrit, Hebrew and Arabic. These power sounds contain high vibrations that help elevate consciousness in ways ordinary words cannot. Through his research in the fields of spiritual sciences and technologies, Dr. Pillai has discovered numerous sound waves that help transform the mind, body and soul, thus bringing in manifestations of your desires. Some thoughts and desires have been hidden for years beyond the realm of the conscious mind; they exist at the level of the spirit and are lodged within the soul. Some of these thoughts and desires create vibrations that last lifetimes, continuously generating negative thought patterns and repetitive behaviors. You keep visualizing the perfect house, partner or job and yet you cannot manifest them. This is because of repetitive negative thought patterns and behaviors, which have been a part of your psyche for years. The solution to transformation at the soul or spirit level is to perform rituals. Rituals are powerful means to transformation beyond what the mind can conceive. 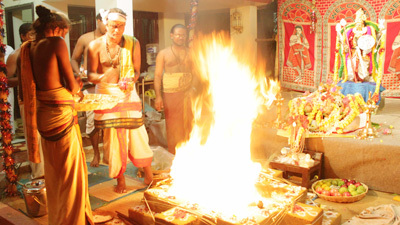 Held as sacred in traditions across cultures such as Native American, Hindu, Buddhist, Christian or Jewish, the various rituals we offer at Pillai Center can help reduce the burden of the spirit and soul that has been passed on for generations. This in turn removes the repetitive thought patterns and negative behaviors that inhibit manifestation of your wants and desires. At the Pillai Center we have found that philosophy, or simply learning about a technique for raising consciousness or thinking more positive thoughts, is only part of the process of transformation. You must also understand why most pure intentions to maintain a new exercise regime, to commit to a better relationship with a spouse or family member, or to keep even the simplest of resolutions are difficult to maintain and fail after a few days. This is where the Pillai Center philosophy comes into play. Philosophy and mindfulness are amongst the most important teachings at the Pillai Center for MindScience. The Pillai Center for MindScience strives to bring about a total transformation within the human body, mind and soul, and the purpose of this web site is to introduce you to the teachings and tools of Dr. Pillai.